MERATH’s local church partners started rehabilitating homes in Syria, enabling needy families to live in their homes once more. By providing safe homes to live in and much needed work for local people, MERATH will enable vulnerable Syrian families, who have been through much hardship, to start rebuilding their lives and look to the future. Syria has been torn apart by seven years of conflict, and the fighting continues in many parts of the country. Millions have been displaced internally and outside the country and the numbers of those fleeing the war continues to rise. 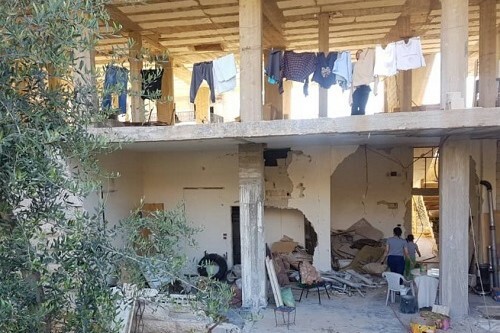 Many neighborhoods have been destroyed by shelling and fighting, making it difficult for families to return even when local conflicts have subsided. On top of this, a new law approved recently requires homeowners to show the deeds to their homes in person as proof of ownership. In many cases the owner are not able to go back yet and their deeds have been lost or destroyed, meaning that thousands of families may lose legal claim to their property and land. Building on years of successful emergency response in the Middle East, MERATH’s local church partners in one prominent Syrian city are seeking to expand their service to their communities by responding to the desperate need for housing. With support from MERATH, they started rehabilitating dwellings, enabling needy families to live in their homes once more. Beneficiary families were chosen with priority for female-headed households, those with individuals with disabilities, and large families, using similar guidelines that MERATH and its partners already use for other relief activities. Under this program, families are receiving up to a certain level of material support to make their dwellings acceptable again. Community members provide the labor to renovate the properties and are compensated for their efforts. By providing safe homes to live in and much needed work for local people, MERATH and its local church partners will enable vulnerable Syrian families, who have been through much pain and hardship, to start rebuilding their lives and look to the future. That many churches in Syria can contribute to the rehabilitation of their communities and the reconciliation process, while continuing to respond to the huge basic needs of vulnerable populations in their midst.